Dignity Health Sports Park looked ready for gameday. From the cabanas, to the Thunderbolts Drumline and the amazing selection of food and drinks, the place was rocking. 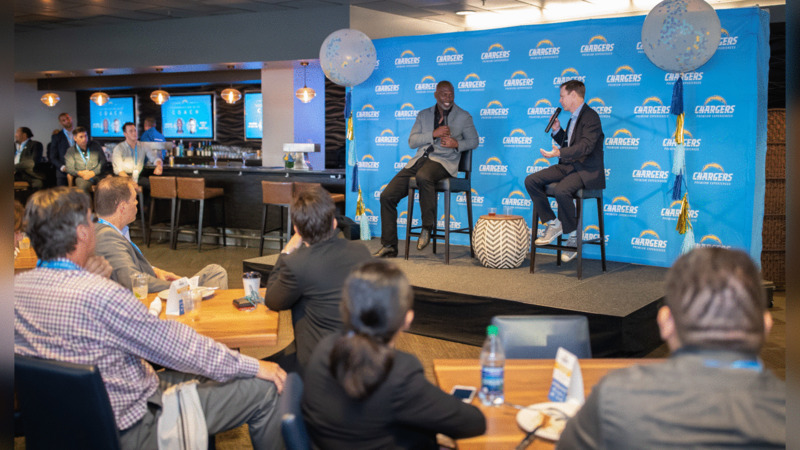 But instead of Chargers Head Coach Anthony Lynn taking his usual place on the sideline, he took a seat in the Stadium Club next to the voice of the Chargers, play-by-play radio announcer Matt “Money” Smith, answering questions during Conversation with Coach. Thursday night was just one example of the perks that come with being a Chargers Premium Experience Member. The usual “Sunday Funday” experience that comes at Dignity Health Sports Park was replicated for the attendees Thursday night. The stadium was open only to the Premium members, allowing them to get a literal taste of the food and drinks served on gameday, view premium seating and take a virtual reality tour of L.A. Stadium at Hollywood Park. But the icing on the cake for those in attendance was participating in Conversation with Coach. 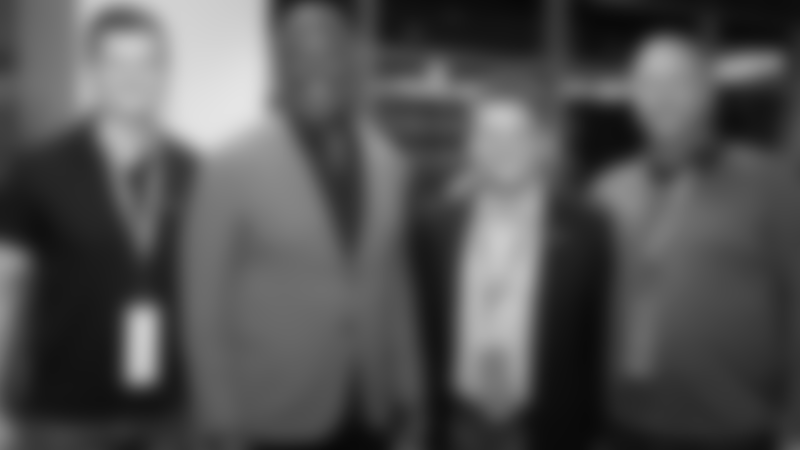 As Smith explained, very rarely do you get facetime with an NFL head coach let alone get to ask him questions. Cultivating that family-friendly environment Ruppert mentioned is indicative of the Chargers organization, and clearly replicative in everything they do. The Premium Experience at Dignity Health Sports Park is truly unlike any other – and, it’ll only be available for one more season before the Chargers move to L.A. Stadium in 2020. As those in attendance Thursday night can attest, being a Premium Member at Dignity Health Sports Park is a one-of-a-kind experience that gives gameday a whole new meaning. 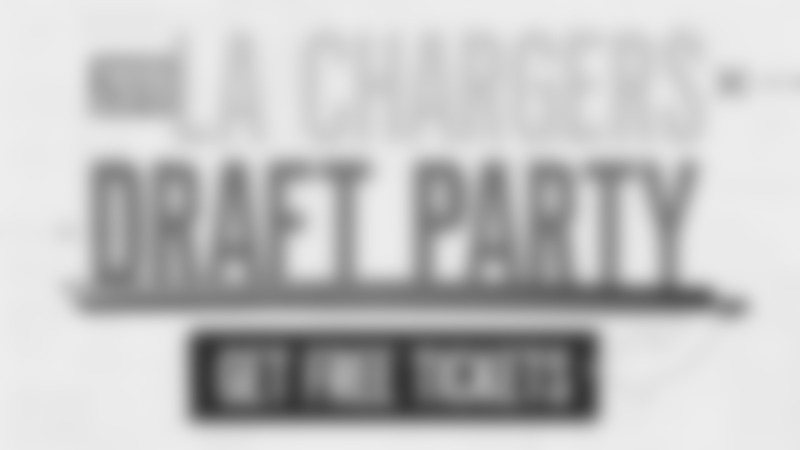 Fill out the form below to sign up for more information on any of the Premium Experiences the Los Angeles Chargers offer.